I’m super excited to be working with Sweet Earth Natural Foods this Summer to bring you a healthy recipe made with all natural ingredients! 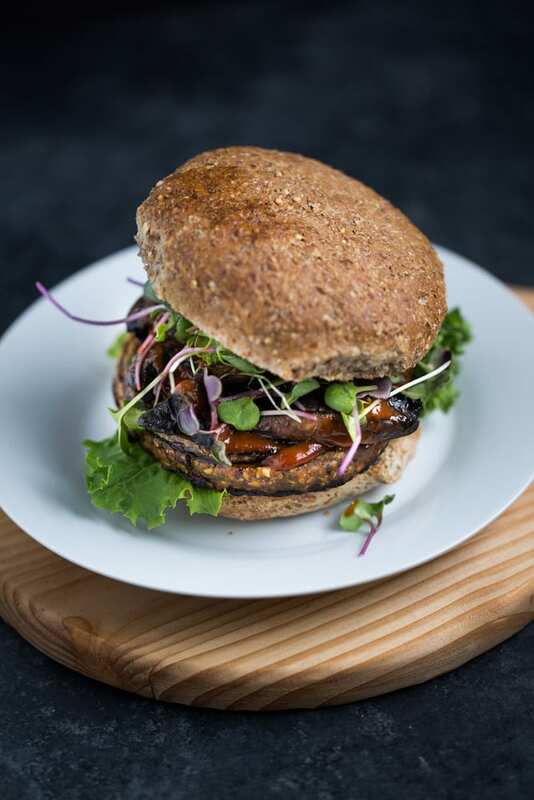 This Teriyaki Veggie Burger is made with SENF’s flame broiled Teriyaki Veggie Burger patty. Get free product from SENF. Two lucky readers will receive free coupons and a swag bag from SENF. Details at the end of the post. I’m a meat eater and I love eating meat but sometimes I want to go vegetarian for a day, like on Meatless Monday! When I’m busy, which seems like ALL THE TIME, I like to make meals for Ken and I that are quick and easy and don’t take much time to prepare. OH, and said meals have to be super delicious and healthy and made with natural, whole ingredients, too. Cue the Sweet Earth Natural Food’s veggie burger patty. 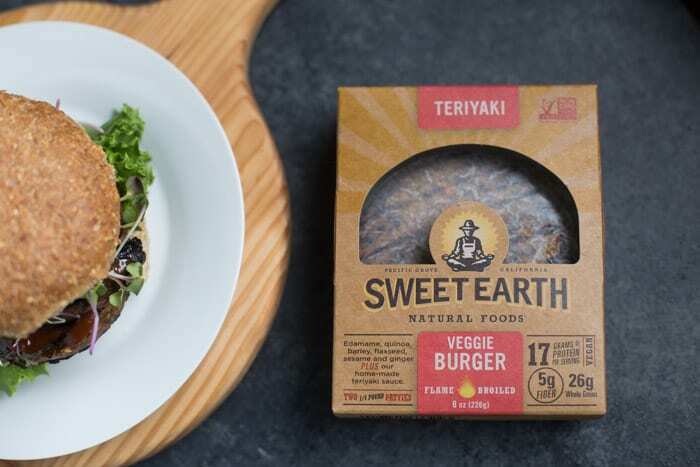 The awesome folks over at Sweet Earth Natural Foods (aka SENF) contacted me to see if I wanted to try out their veggie burgers. After reading about the all natural, Non GMO whole ingredients that SENF uses in their products, I was like YES! I’ll admit, I wasn’t sure what to expect. I’ve tried many frozen veggie burgers before and a couple were ok but most were meh. 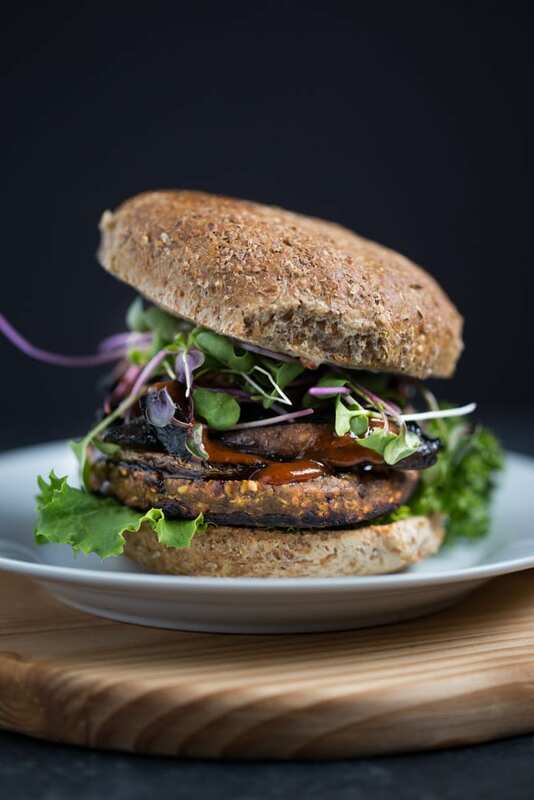 Whole veggies and grains like quinoa and barley and a home-made teriyaki sauce are a few of the ingredients used to make these burger patties. There isn’t any processed crap in these burgers and I was able to read and know what each ingredient on the ingredient list is. The teriyaki veggie burger I made with the SENF patties is a simple burger because I’m a simple burger kind of gal. When I order a burger, I typically get traditional ingredients – lettuce, tomato, onion and mayo. Sometimes I get grilled onions and mushrooms, which is what you will find on this burger. So what’s the verdict on these veggie burgers patties? They are pretty good, much better than other frozen veggie burgers I’ve tried. They’re a great vegetarian option, whether you’re a vegetarian or a meat eater who wants to cut back on meat consumption. Meat eaters will love these. I do and I’m a meat eater! Now these burger patties don’t compare to a homemade or awesome restaurant made veggie burger but they satisfy the burger craving and are a delicious, easy to prepare option when you’re in a bind and don’t have time to make your own patties. ?? Prepare the burgers. Cook the burgers according to package directions. There are oven and skillet cooking options. Prepare the onions. Heat 1 tbsp olive oil over medium high heat. Add the two onion slices and cook 3-5 minutes per side or until tender and golden. Prepare the mushrooms. Heat 1 tbsp olive oil over medium heat. Add the mushrooms and sprinkle with salt and pepper. Toss to coat. Saute until tender, 5-7 minutes. Prepare the buns. Drizzle the inside of each bun with 1 tbsp olive oil. Place in a toaster oven and toast until slightly browned. Assemble the burgers. Spread a small amount of mayo over the inside of the buns. Top the bottom buns with the leaf lettuce, the burger, the onion slice, mushrooms and drizzle with the BBQ sauce. Top with the microgreens and then the top bun. To enter, complete the Rafflecopter below. Open to US residents of the contiguous United States only. Please read the terms in the rafflecopter. Good luck! SO much love for this! I’m always looking for a great veggie burger recipe – pinning this to make ASAP! These burgers look delicious! I will keep an eye out for them. These veggie burgers look so delicious! I’ll definitely have to given them a try! I love a good and easy vegetarian option! Thanks for the info!